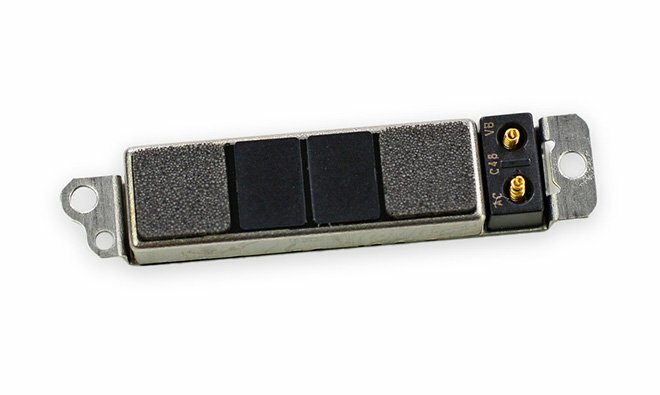 One of the more exciting features introduced with Apple Watch is Apple's Taptic Engine, a technology that has effectively creates a compelling user experience by accurately reproducing taps, bumps and other tactile effects. Editor's note: Apple frequently introduces new technologies and features in a singular new product, then gradually brings them to other devices in its ecosystem, making for a more coherent user experience. Our Watch Effect series examines how the Apple Watch's own innovations might make their way to the iPhone, iPad, or Mac. Apple's Taptic Engine is basically a branded version of haptic user interface technology designed to bridge the digital-physical divide. Using vibratory motors, in Apple's case the bespoke linear actuator seen above, devices like Apple Watch are capable of reproducing analogs of familiar physical touch and motion sensations or totally new and distinct tactile experiences. Aural cues from onboard speakers complete the system. With Apple Watch, Apple applies its Taptics Engine to relay system notifications, reinforce audio alerts and offer an overarching sensory experience not usually associated with a digital device. Impressively, Apple has integrated the technology so tightly as to make it feel almost organic, a feat rarely accomplished in a lineage of haptic feedback systems that goes back decades. By providing contextual vibratory feedback, Apple is able to replicate taps, heartbeats, shakes and more. The effect is most apparent when combined with Watch's Digital Crown. 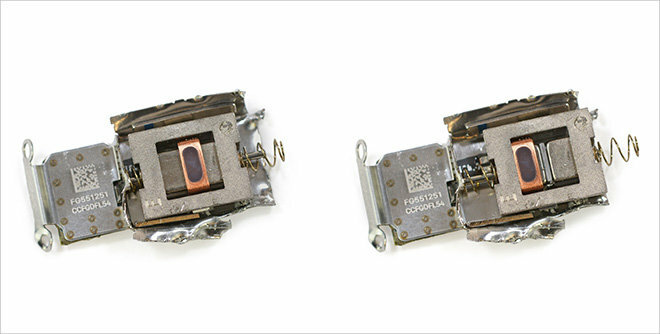 Apple's Taptic Engine works in cooperation with audio feedback from Apple Watch's speaker for a powerful tactile feedback experience. For example, over-scrolling beyond the boundaries of a list triggers rubber-banding physics, a UI feature first introduced in Apple's original iPhone. On Watch, rotational crown input becomes exponentially less responsive after scrolling past the top or bottom edge of a text box, a process that continues until the UI hits a "breaking point" and snaps the onscreen list back to normal viewing parameters like a rubber band. Taptic Engine feedback reinforces what is seen onscreen by producing a sensation best described as a taut rubber band being plucked gently on your wrist. Translating that same haptic feedback technology to a full-fledged iOS device would not only bring parity across Apple's range of portable products, but could serve to enhance the user experience in ways never before possible. Imagine an iPhone or iPad capable of reproducing rubber-banding vibrations similar to Apple Watch, but on a larger scale. Relying on their fingertips instead of a wrist, users would be able to better differentiate minute changes in vibration that could open the door to a more compelling haptic language specific to iOS. Or perhaps Apple can embed two or more Taptic Engines, located opposite each other on a handheld device, all working together to produce a deeper and more convincing set of responses. Games makers are always looking to deliver a more immersive experience, from the Nintendo 64 Rumble Pak in the late 90s and Microsoft's Force Feedback. Apple's Taptic Engine could serve an identical function in iPhone and iPad, but offer discrete, accurate in-game feedback generations removed from prior technology. 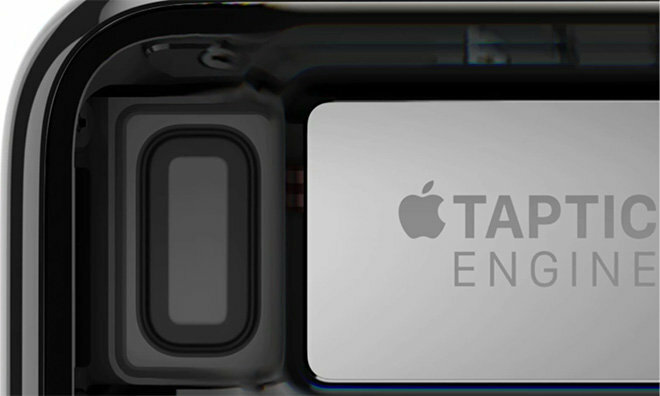 Rumors already claim the Taptic Engine is coming to next-generation "iPhone 6s" handsets, though it remains unclear how exactly Apple plans to integrate the requisite hardware. The company could simply scale up Apple Watch's Taptic Engine —some users complain the wearable's vibratory feedback is too weak —but with larger screens and handheld form factors, a more thoughtful approach to installation location, size and iOS-centric responses would be optimal. In any case, the gains won by adding Taptic Engine tech to an already formidable arsenal of iOS UI and UX features could be hge if accomplished correctly, but such a leap could require much more than a beefed up version of what's offered with Watch.